Mary Hart Perry’s acclaimed series of romantic Victorian thrillers continues with Seducing the Princess, inspired by the life of Queen Victoria’s youngest daughter Beatrice. Painfully shy and lonely, convinced she is unattractive and unloved, the dutiful Princess Beatrice finally accepts that she will never marry and vows to devote herself to the queen in Victoria's waning years. In fact, her mother has secretly discouraged suitors for Beatrice’s hand. Just when she has all but given up on love and happiness, she meets Henry Battenberg, a dashing nobleman from the Continent who matches wits with the aging Victoria and risks his life and liberty to woo Bea. But Henry isn't the only man interested in being welcomed into Beatrice's bed. The timid princess has become the target of a cruel plot hatched by her nephew, the madman destined to become the last Emperor of Germany. Wilhelm II sends a ruthless agent, a charming Scot, to seduce the naive princess and spy on the queen. How can the sheltered princess hope to fend off a man capable of murder, and perhaps worse, to get what he wants? But Beatrice is not without her own allies--her older sister Louise and Louise's American soldier-of-fortune and lover, Stephen Byrne. Will Beatrice discover which of the two men pursuing her she can trust, before it's too late? Drama, romance and peril chase the royal family from Buckingham Palace to a storm besieged castle on the Isle of Wight. Mary Hart Perry is a new to me author and Seducing the Princess is the first book that I read. I was thoroughly blown away! I loved reading about Queen Victoria’s youngest daughter, Princess Beatrice. Of course, I did a quick google search on her to read more about her and her life with the Queen. I am amazed at how the author seamlessly intertwined Princess Beatrice’s story with the facts surrounding her love match with Henry Battenberg. The story was well written and I empathized with Princess Beatrice. Queen Victoria really seemed like the villain of the story. I can just imagine how hard it was for Beatrice growing up as her mother’s shadow. The way the Queen treated Beatrice struck a chord in me and I could not help but hate the Queen for doing this to her youngest daughter. Beatrice comes off as an obedient and meek daughter, only following what the Queen commands her to do but deep inside, she cannot wait to leave and have a life of her own. This happens when she meets and falls in love with Henry. Henry and Beatrice’s love story was really sweet, I thought. I love the way that he went out of his way to get to know the Princess and helping her overcome her shyness and become a strong woman. I have to point out that all the characters are well developed and I find that this help drive the whole plot of the story. I felt that I knew them and that I was one of the Queen’s daughters. I also loved that there was another villain in the story in the form of Prince Gregory, another cousin. I like to think that a good story has to have a good villain and Gregory really fit the bill to a T. Although there is a minor villain in the form of Queen Victoria, I cannot see her as the ultimate villain even if she plays a part preventing a romance between Beatrice and Henry. I recommend this book to readers who love Philippa Gregory. Kathryn Johnson lives in the Washington, DC area with her husband and two feline writing partners, Tempest and Miranda. The author of over 40 novels, she’s written under her own name and a variety of pen names, including Mary Hart Perry, Kathryn Jensen, KM Kimball and Nicole Davidson. She also teaches fiction-writing workshops for the renowned Writer’s Center in Bethesda, Maryland. And, in 2008, she founded Write by You (www.WriteByYou.com), to coach other writers interested in reaching publication. She has been nominated for the prestigious Agatha Christy Award, and won the Heart of Excellence and Bookseller’s Best Awards (sponsored by the Romance Writers of America) in 2011. Her works in progress include a series of Victorian thrillers inspired by the lives of Queen Victoria’s five daughters. The first novel, The Wild Princess, focuses on Princess Louise, who desperately wanted an education as a professional artist, at a time when women were not admitted into art schools. Her personal life becomes complicated when she uncovers a secret about her husband and must help protect her mother from an assassination attempt. 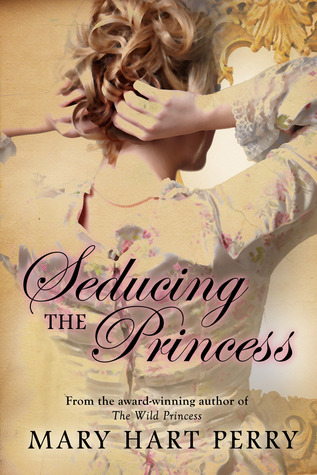 The second book of the series,Seducing the Princess, launches April 2, 2013, and features Victoria’s youngest daughter Beatrice. Painfully shy and lonely, the dutiful Princess has promised never to marry and to devote herself to the queen in Victoria’s waning years. Just when she has all but given up on love and happiness, she meets Henry Battenberg, a dashing nobleman from the Continent who risks his life and liberty to woo Bea and save both his beloved and the queen from a cruel plot. A third novel, to be published later in 2013, will star Crown Princess Vicky.